The unique opening feature of this type of patio door sets it apart from all the other styles, by tilting the door frame inward it allows for excellent ventilation without the need to open the doors, which means that you don’t have to be concerned about children wandering out through the door or unwanted visitors (or stray animals) coming into your home. Operate the tilt & turn function is done via the door handle; move the handle in one direction and the door opens inward, move it in another direction and the window will tilt inwards at the top. The amount that the window leans backwards into the room is restricted to about 15 or 20 degrees for safety reasons; thus ensuring that the whole door does not fall completely backwards. The difference in this style is that the door panels will slide to the left or right similar to a normal patio door instead of opening inwards, but the sliding panel has also has the same tilt function. The tilt function will only operate once the door is in a closed position – you can’t slide the door whilst it is tilted. It is recommended to use tempered glass in all patio doors for safety reasons and if preferred you could actually go to the options for fitting laminated glass. To improve the energy efficiency, gas filled sealed glazed units or low-emissivity (metal oxide coated) glass can be used. 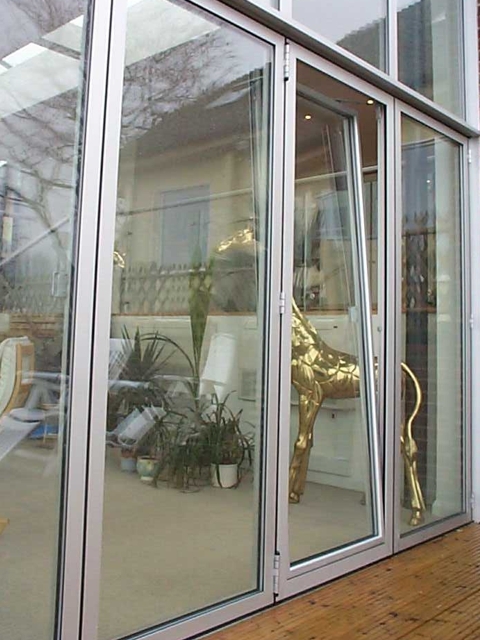 A small point to bear in mind for tilt & turn patio doors is that they are normally manufactured to open inwards & they do have quite a high threshold. Also the drainage holes for rainwater in the threshold need to be kept clear of dirt so that they don’t block up. Maintenance for uPVC patio doors is very simple, just keep them clean & lubricate the hinges with a little light oil or grease once a year. Find Quotes to compare cost of Tilt & Turn Patio Doors.